(Reuters) – The European Commission is pressing Greece to wind down certain banks, possibly including its fifth-largest lender ATEbank, EU sources said. Although it is the responsibility of Greece’s central bank to close a struggling lender, the EU’s executive also has a say under state-aid rules, which allow it to refuse a request to rescue a bank if the Commission considers it too costly to save – effectively forcing the bank to be wound up. Throughout the crisis, the Commission has rarely used the full extent of its state-aid powers and few European banks have been closed. If it were to use them in Greece, it would mark a more aggressive stance in tackling weak European banks at the heart of the crisis. It could use the same powers to wind up banks in Spain and Portugal, one of the sources said. “We are moving into a new phase with Greece, Portugal and Spain,” said one of the sources, who spoke on condition of anonymity because of the sensitivity of the matter. “Some banks are going to be squeezed. Some are going to be closed down. “It is always a balance,” the source said, explaining that if a bank is central to a country’s financial stability it might need rescuing, but otherwise it may have to be let go. ATEbank, the Greek central bank and the Greek finance ministry all declined to comment. ATEbank management has in the past proposed merging all state-controlled banks, including the Hellenic Postbank, into one. If ATEbank were shuttered, meanwhile, it would not mean that the whole of Greece’s banking system was collapsing. Other key Greek are not the same danger and could benefit from any refocused capital. No decision will be taken until after Greece holds elections on June 17. The outcome of the vote, which polls suggest could be won by a far-left coalition opposed to Greece’s EU/IMF bailout, could fundamentally change Greece’s ties to the EU. 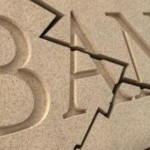 Last month, Greece’s four biggest banks, National Bank, Alpha, Eurobank and Piraeus Bank, received 18 billion euros in capital under the joint EU/IMF bailout, a 130-billion-euro program that involved writing down the value of Greece’s privately-owned debt, including sovereign bonds held by Greek banks. ATEbank, a state-owned agricultural lender founded in 1929, did not get money under the bailout after failing to present a plan for its own longer-term commercial viability and is now the focus of concern, the sources said. The Greek authorities have started to make early preparations to wind down ATEbank, a process of liquidation that would not mean immediate closure but which is expected to begin in the second half of the year, one of the sources said. A Greek government source said shutting down the bank was a likely scenario, but reiterated the importance of the elections and said it would be some time before a decision was taken. A spokesman for Joaquin Almunia, the EU’s competition commissioner, said a restructuring plan for ATEbank, approved last year, envisaged further steps to restore the bank to health. This could include recapitalization measures. “We expect new aid measures to be notified to the Commission. When this is the case we will assess the situation of the bank,” the spokesman said. Under any winding up, depositors, who had more than 17 billion euros at the bank as of September last year, would be protected by the country’s deposit guarantee scheme, which protects the first 100,000 euros of any deposit. The resources to pay for the winding down, which could include setting up a bad bank for risky loans, would come from the Hellenic Financial Stability Fund, at least in part. The Hellenic Stability Fund was set up in July 2010 to help restabilize Greece’s banking system. Any closure of a bank in Greece, whose future could determine the survival of the euro, would be highly sensitive. None of the country’s major banks were wound up in the crisis. But officials believe the money left in the country’s aid program – around 7 billion euros currently, with the possibility of 25 billion more from the EU/IMF bailout funds – is insufficient to recapitalize all banks and that some must be sacrificed to secure the most important lenders. Greek banks suffered heavy losses on the government bonds they own when the country negotiated a writedown of its debt, known as private sector involvement (PSI), earlier this year. Some in the Greek administration fear that closing a bank could send an unwelcome signal. ATEbank, which failed a pan-European stress test last July, had customer loans of more than 20 billion euros in September 2011, the most recent records available. The bank, which expanded beyond its agricultural roots into mainstream commercial banking between 2000 and 2009, racked up heavy losses on bad loans to farmers and consumers and suffered a large writedown in the value of its Greek government bond holdings. In the absence of a pan-EU framework to wind down banks, the Commission’s power under the state-aid regime, has made it the bloc’s de facto resolution authority for troubled lenders. Winding up a bank in Greece would be left chiefly to the country’s central bank and the European Central Bank. While the United States has closed hundreds of banks since the subprime mortgage crisis, European countries have been reluctant but there has been a gradual shift in this thinking. “In Europe, weak banks one way or another have been taken over by bigger banks,” said a central bank source. Ireland’s Anglo Irish Bank and Germany’s WestLB are among the rare examples of banks that were shuttered in the crisis. Denmark also closed a number of small lenders.